As we wrote in this corner last week, City Scope applauds the decision made to take a flyer on providing the backdrop for the popular reality series, Million Dollar Neighbourhood, because of the negative light in which it might cast St. Thomas. Reader Bill Sandison takes exception and passed along the following argument. ” So much for this mayor and meaningful community engagement; a missed opportunity to build community spirit over a 10-week stretch as 100 families would help each other try to achieve a community savings of $1,000,000; equating to $1,000 a week for each family,” Sandison writes. He continues, they “should replay the video “St. Thomas, Ontario, Canada – Faster. Stronger. Better.” (http://www.youtube.com/watch?v=7qQl4Nvrmmc) It portrays St. Thomas in a far more progressive light, one that appears to have been forgotten. While the video is industrial focused, it is about a community working together, which is exactly the premise behind Million Dollar Neighbourhood, except it involves ordinary families working together to improve their individual circumstances and the community as a whole. Sandison points out, “Joanne Nicolato, a participant, said in her address to council, ‘I found myself bursting with community pride.’ Not quite the image being portrayed by our mayor. “While other Ontario communities are actively soliciting the Million Dollar Neighbourhood show, our mayor turns her nose up at the offer. Perhaps it is just indifference towards the residents of St. Thomas? As always, this corner encourages input from readers. LET’S GET THIS STRAIGHT . . . Ascent, formerly St. Thomas Holdings Inc., has an off year and yet board chairman, Ald. Tom Johnston, feels the directors should receive a hike in compensation. Johnston would not reveal specifics of the increase, but board members currently receive about $8,500 for attending 10 or so meetings a year. Handsome remuneration for the work involved. Thankfully, city council was united in nixing this proposal to further stock the trough. So, who sits on the Ascent board of directors? In addition to Johnston and Mayor Heather Jackson, neither of who are compensated, the members include former St. Thomas mayor Peter Ostojic, vice-chairman Jim Herbert, Brian Dempsey and local businessman Joseph Starcevic. “I can’t support this recommendation,” asserted Ald. Gord Campbell. “St. Thomas Holdings had a difficult year, lost some money. Is that why council was unanimous in opposition? Shame by association? 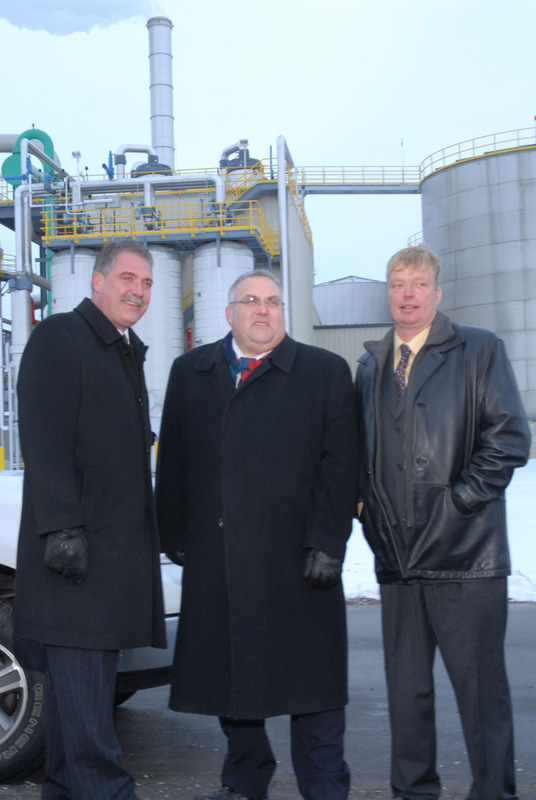 After months of speculation, the where-will-Steve-Peters-surface-again question was answered this week with an announcement from the Alliance of Ontario Food Processors (AOFP) that their new executive director is none other than the former mayor of St. Thomas. AOFP is a member-driven organization representing over 650 food and beverage processing companies in Ontario and employing more than 110,000 people. Can’t think of a more qualified and enthusiastic ag business promoter than Steve. He served as this province’s minister of agriculture from 2003-2005, then moved on to minister of labour from 2005-2007. Of course, long-time residents of St. Thomas will remember Steve really got a hands-on education in the food business stocking grocery store shelves in the previous century. Reader David Delgado gives two thumbs up to the announcement. It’s a safe bet the AOFP is not familiar to many in the province. It will be interesting, therefore, to follow Steve’s impact on the alliance, both in profile and increased political clout. After a two-year hiatus, Canada Day celebrations will return to Pinafore Park, a venue that was vacated due to risks associated with the grand finale fireworks display and the proximity to the Lake Margaret development. It’s a wise decision by the city, albeit unfortunate the compromise solution could not have been reached much sooner so as not to break the long tradition of celebrating Canada’s birthday in the family-friendly confines of Pinafore Park. The Douglas J. Tarry Sports Complex is a wonderful site for ball tournaments and the like, but as a gathering spot for the community to come together for a day-long party, it just doesn’t cut it. Based on early comments on the T-J website, the prospect of renewing the association with Pinafore Park on July 1 is embraced by readers. Former Elgin-Middlesex-London MPP Steve Peters on his appointment this week as executive director of the Alliance of Ontario Food Processors. City Scope appears every Saturday in the Times-Journal. Questions or comments can be emailed to ian.mccallum@sunmedia.ca. Research at the University of Waterloo has led four southern Ontario farmers to send straw from soft, white winter wheat to an auto parts plant in Ohio for plastic production that is ending up as third-row storage bins in the Flex crossover vehicle in Oakville. In an industry that is quickly developing and manufacturing so-called green interiors, Ford says it is the world’s first automaker to develop and use straw for plastic in a vehicle. The City of London is going after $150 million the Ontario government is believed to have offered to save Ford of Canada’s St. Thomas assembly plant, Mayor Anne Marie DeCicco-Best said. The city and region could use the cash to fund a host of ambitious economic development schemes, she said. 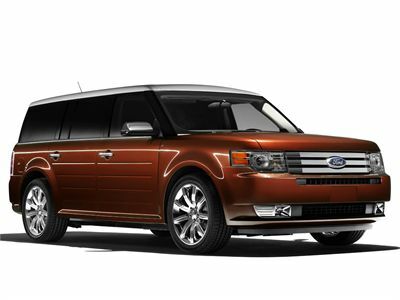 Ford Motor Co. will close the St. Thomas plant in September 2011, cutting 1,600 jobs when it ends production of the Lincoln Town Car, Mercury Grand Marquis and Crown Victoria.